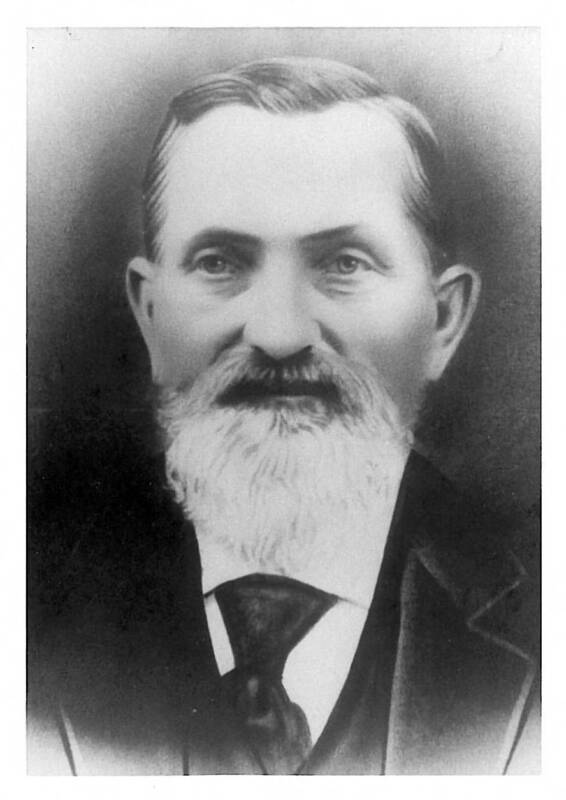 A black and white portrait of Friedrick Brandt of Tigardville. Mr. Brandt has a mustache and a long white beard that extends below his chin. He is wearing a white collared shirt, a wide black tie, and a black vest and jacket. His hair is neatly combed and parted at the side. Mr. Brandt helped organize the first Evangelical Church in Tigardville and taught the senior men's Bible class. Friedrick Brandt died in 1914 and is buried in Crescent Grove Cemetery in Tigard. Online access to this image is for research and educational purposes only. To inquire about permissions, order a reproduction, or for more information, please contact the Tigard Public Library at seanga@tigard-or.gov.